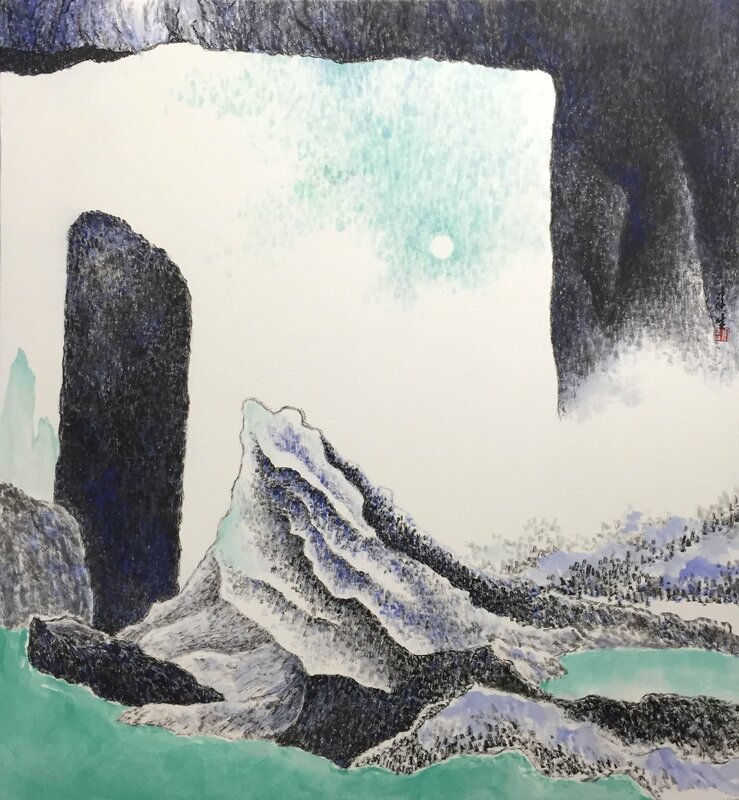 Title: "The good old moon"
Winnie KS Hui is an ink artist born and educated in Hong Kong. Her works are influenced by the strong fusion of the Western and Chinese cultures there. Having long been aware of the weight of the historical canon of Chinese brush painting and its strong philosophical conventions within its tradition, Winnie explores a way to bring her personal relationship to the traditional culture in a contemporary context. She gained her Master of Fine Art at RMIT University, Melbourne (2014). Winnie KS Hui is an ink artist born and educated in Hong Kong. Her works are influenced by the strong fusion of the Western and Chinese cultures there. Having long been aware of the weight of the historical canon of Chinese brush painting and its strong philosophical conventions within its tradition, Winnie explores a way to bring her personal relationship to the traditional culture in a contemporary context. She gained her Master of Fine Art at RMIT University, Melbourne (2014).